Scott and I are continuing our work with the Darnal family—we have completed a new film, have another one in the works, and are helping the kids complete their education. 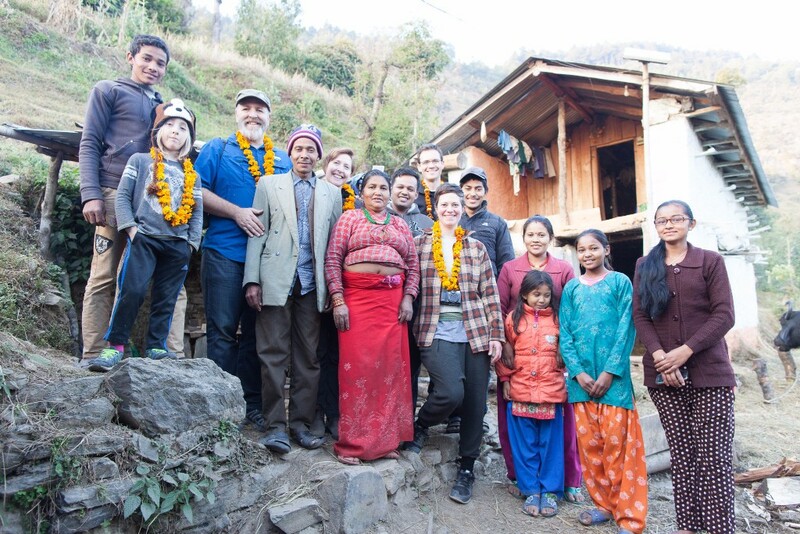 I left for Nepal last Tuesday to visit the family in their new home outside of Kathmandu. I will keep track of my experiences and impressions here. I am eager to share them with you. Having others with us in this project, helps us to make sense of it. In 2008, Scott and I were hired to make a promotional video for a nonprofit that provides scholarships for girls to go so school in the Kathmandu Valley. This is how we met Shanta Darnal. Shanta was rad. She was super smart, determined to graduate and to return to her village a doctor. Scott and I adored her. A year after completing the promotional video, we learned that Shanta had taken her own life. This was devastating. We couldn’t make sense of it. Why would this talented girl with all her education paid for in a country where less than half the girls finish the 8th grade—kill herself? That question took us on a life-changing journey that resulted in the feature documentary, Drawing the Tiger—which we completed in 2015. If you have not seen it yet, and would like to, let us know. During the 7 years of working on the film, we developed a relationship with Shanta’s entire family. Their story continues and so we are continuing to tell it. 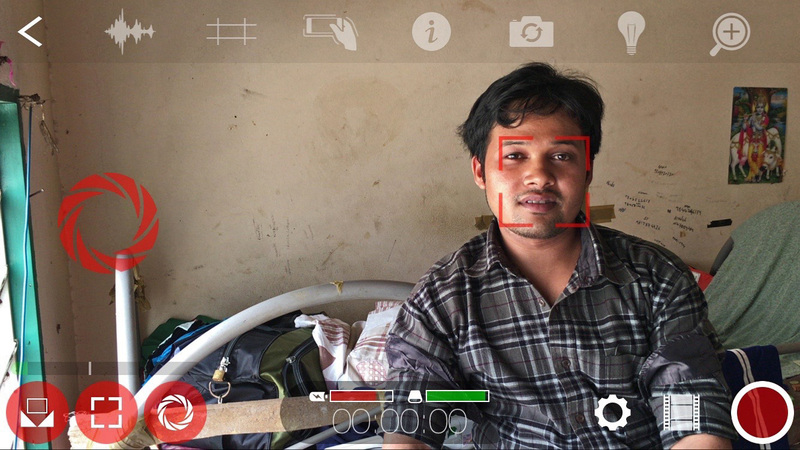 We have just completed a short (30-minute) follow-up film to Drawing the Tiger, about Kumar, Shanta’s brother, and his experience as a migrant laborer in Malaysia. It is called The Eldest Son. 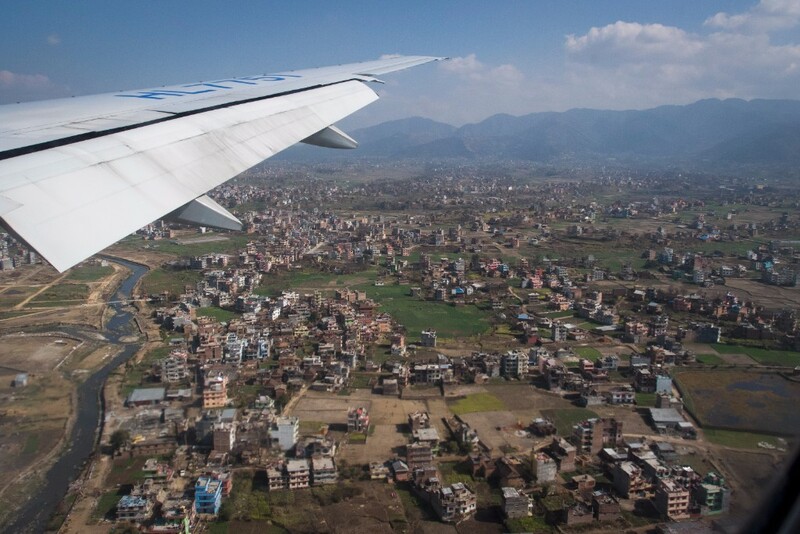 Half of Nepali households have at one family member abroad. While some are successful, the majority come home in debt, injured or worse. The Eldest Son furthers our study on the emotional toll of poverty + globalization. We have started submitting The Eldest Son to festivals, but before it screens widely, Kumar and his family need to see the film. I am nervous and excited about this! 1. Showing the Darnals the new film, The Eldest Son. 2. Enrolling the three teenage kids in school. Ram Kumar, Sarita and Rashmita are in a crucial part of their educations. The Darnals managed to to keep them in school—despite needing their help to farm, and costly fees—through the 10th grade, which is when kids in Nepal take the SLC, the big comprehensive exam that determines if they go further. Ram Kumar and Sarita both passed, but need to retake some parts before they move on. Rashmita needs to take the test over this year. You see, even though these three kids studied ALL THE TIME! (I am not kidding. They study in candlelight. In wee morning light. Walked over an hour to another village for high school and for extra tutoring before the sun came up. 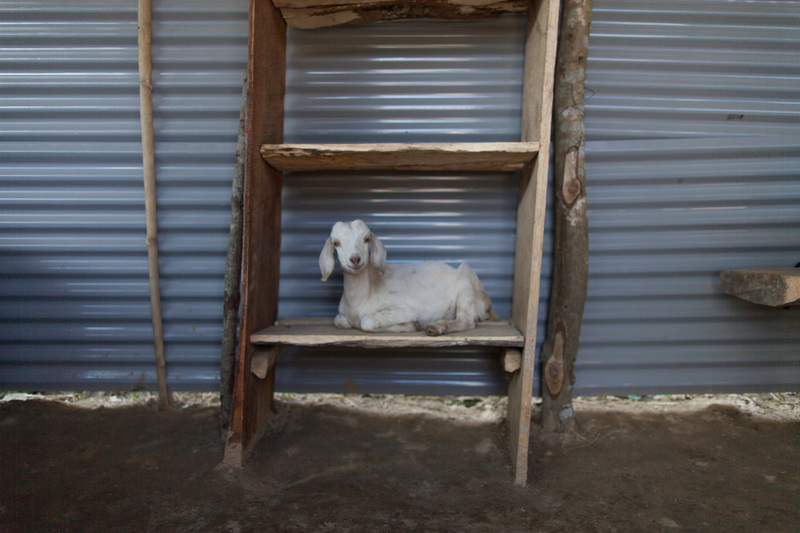 And, that was after feeding the goats.) These kids have worked so hard, but because the village schools are so inferior to those in Kathmandu, they are behind. Well, the Darnals have now moved to the outskirts of the city. It is time to get those kids graduated! And, we have found the organization to do it. Mitrata! 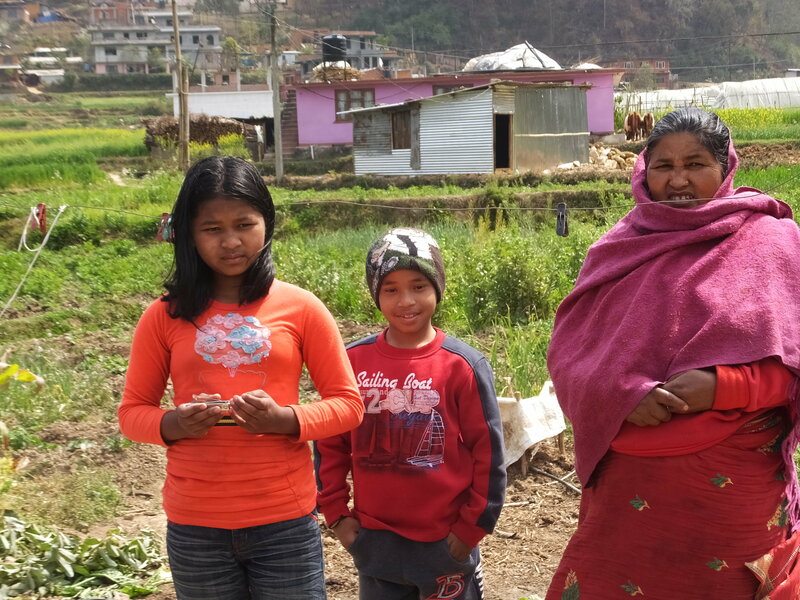 Purnima, Pawan and their grandmother in front of their new home outside of KTM. Mitrata is a unique scholarship org, in that they have a truly holistic approach to educating the kids they support. They know all the children in the program as individuals. They involve their families, do two home visits per year, provide workshops on hygiene, birth control, and extra tutoring when needed. They ask the kids what they want for their future. We are already supporting Pawan and Purnima, Kumar’s children who are 8 and 10 via Mitrata. On this trip, I am going to meet with the nice folks that run Mitrata—as well as do some filming for them—and be there as Mitrata works with the Darnals to see where these great village kids can fit in in Kathmandu. If you would like to help in educating the Darnal kids—you can give your tax deductible donation via our individual donation page which is connected to Mitrata RIGHT HERE! THANK YOU!!! I will keep you in the loop of how this goes while I am on the ground in Nepal. 3. Starting the new film: After Shanta’s death, Ram Kumar, Sarita and Rashmita—the three Darnal teenagers—are the first literate ones in their family. They are the next possibility for the Darnals to move out of poverty. They are artistic, like, as a family trait, and have always been interested in filmmaking—especially Ram Kumar. Via a grant from the City of Seattle, we are giving the kids little video cameras so that they can document their new life in Kathmandu. 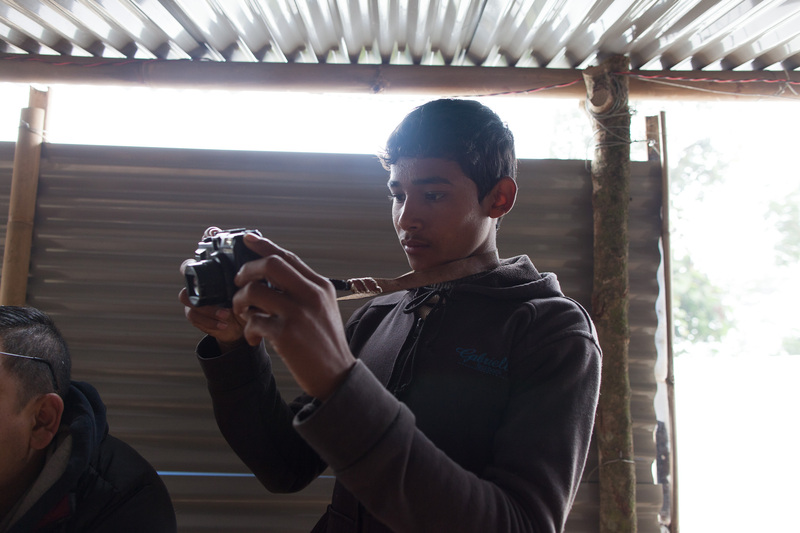 Shailendra, our cinematographer in Nepal, is going to do camera workshops with the kids while I am there. After I leave, he will review with them and collect the footage every couple of weeks. He will download and send it to us. The result—I am not sure yet—but I think it is going to be something really LOVELY. Ram Kumar —an artist for sure. 4. I will be in Nepal during International Survivors of Suicide Loss day (Nov. 18), and will be meeting with some of the stakeholders that we made friends with on our last trip in 2015. 5. I will get to sit and hang out with the Darnals! I told them over the phone via our dear friend/translator, Neeta, that they could put me to work—Kumar just laughed. I have yet to prove myself as very useful in the farming/cooking/cleaning departments, but I will try. I am pretty sure they brought this goat with them to the city. Fingers crossed!